Are you being charged, in Palm Beach County, Florida with Possession of Cannabis? Need a cannabis defense attorney or marijuana defense lawyer in West Palm Beach, Boca Raton, Jupiter, Palm Beach Gardens or Boynton Beach? We are possession of marijuana defense attorneys located in West Palm Beach. 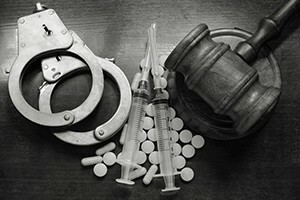 When you are arrested for illegal drugs, it is important to hire a Criminal lawyer that understands and practices in the area of drug crimes and criminal defense law. Don’t hire a lawyer that dabbles in criminal defense; hire a criminal defense lawyer that has extensive experience in defending drug paraphernalia charges. Your drug crime or drug offense lawyer needs to have knowledge and experience in drug cases but also needs to know the prosecutors, judges and court staff. Knowing the players comes from years of being inside the courtroom. Finding the best criminal defense attorney in Palm Beach County, for your case, is difficult. You need to review their educational background, experience in criminal cases, their reputation in the community, and their ability to communicate with you, the client. The quality of the criminal defense attorney you hire to defend your possession of marijuana case is extremely important. We ask that you consider our South Florida Possession of Cannabis Defense Lawyers. Attorney Roger P. Foley has offices in Broward County, and Palm Beach County, Fort Lauderdale, and in West Palm Beach respectively. Mr. Foley has defended hundreds of individuals charged with drug crimes; possession of marijuana, possession of cannabis, possession of drug paraphernalia, Sell, deliver, manufacturing of cannabis, cultivation of cannabis, marijuana grow house charges, and marijuana trafficking charges. Palm Beach Gardens possession of cannabis defense lawyers, Royal Palm Beach possession of marijuana defense attorneys, Delray possession of cannabis defense attorneys are available now to defend your case. We have defended individuals charged with possession of cannabis and possession of marijuana in Lake Worth, Riviera Beach, North Palm Beach, Wellington and Juno Beach. We know weed, cannabis, marijuana, herb, bud, gonj, green grass, cheeba and any other term used cannabis and the defense of marijuana charges. According to the Substance Abuse and Mental Health Services Administration, there were 18.9 million people who used marijuana in 2012. In the same year, the FBI UCR reported there were approximately 650,000 arrests made for possession of cannabis. Even though states such as Washington and Colorado have made it legal to use marijuana, it is still a crime in Florida. Possession of cannabis is defined under Florida State Statute 893.13. Depending on the amount of cannabis or “weed” you have, it can be categorized as a misdemeanor or a felony and the penalties vary accordingly. Regardless of the amount, if you are convicted of possession of cannabis, there is a mandatory two-year suspension of your driver’s license. If you have less than 20 grams, it’s a first-degree misdemeanor that carries a penalty of up to a year in jail and a fine of $1,000. Possession of cannabis becomes a third degree felony if it’s over 20 grams but less than 25 pounds. You could face up to five years in prison and a fine of $5,000. 25 to 2,000 pounds carries a three-year minimum mandatory prison sentence, maximum up to 15 years and a $25,000 fine. 2,000 to 10,000 pounds carries a seven-year minimum mandatory prison sentence, maximum up to 30 years and a $50,000 fine. This is a first-degree felony. Any amount over 10,000 pounds carries a fifteen-year minimum mandatory prison sentence, maximum up to 30 years and a $200,000 fine. The alleged defendant knew of its presence. For the offense of trafficking, the weight of the drug becomes an essential element as well. If you get arrested for the charge of possession of cannabis, the Law Offices of Roger P. Foley wants you to relax and take a deep breath. You have been charged with a crime but there are many defenses we can use to tackle your case. As the charge states, the prosecution needs to establish you had possession of the drug; there are two types of possessions, actual or constructive. The marijuana is so close to you that you could grab it. Constructive possession of marijuana is having knowledge of its presence and the ability to control it. Put simply, you have to know it exists and be able to physically control it. Roughly 1 out of 20 people get arrested every day for possession of marijuana. You could be catching a ride with a friend who has pot in the center console and you don’t know it’s there. He blows a stop sign and gets pulled over. The cop asks for license and registration and your friend opens the console to look for his documents. The marijuana is spotted and you both get arrested for possession. You did nothing wrong but yet you are facing a legal battle ahead. In addition to the legal penalties, the stigma of the conviction for a drug offense can often have long lasting effects. Many years after the conviction, it could still prevent opportunities for employment and housing after a background check reveals a criminal record. That’s why it’s important when you are arrested to not talk to the police, do not incriminate yourself, and get a skilled West Palm Beach Cannabis Possession Attorney who can fight the charge. Call the Law Offices of Roger P. Foley at 561-746-7076 so we can discuss what options are available for you. Mr. Foley is a lifetime member of NORML.